Anyone who knows me well enough knows I love comics but when it comes to comics as much as I love the big two, you know Marvel and DC or is it DC and Marvel, I find myself drifting further and further away bored of the normal super hero cliché. I have been drawn to new prints and the print that started this was from Boom! Studios. I have been a fan of Boom! Studios ever since I saw their presentation at London Super Comic Con in 2014, they have a energy and style that most big companies wish they had and they keep coming out with new works that are true pieces of art. So in search of something new I came across Pen & Ink and as Boom! Studios say themselves this series is perfect for fans who want to look “behind the scenes” of making comics. The Pen & Ink series features artwork from highly skilled illustrators stripped down to their inks in the original art board dimensions of 11” x 17”—or, in this case, and for the first time in a Pen & Ink book, stripped down to the pencils alongside inked and lettered pages. In this particular issue they are showing us a stripped down version of George Pérez’s Sirens #1 (his first original title in over 10 years) and oh my god it’s amazing. To put this in perspective George is one of the industry greats, just have a look at some of his previous works below. 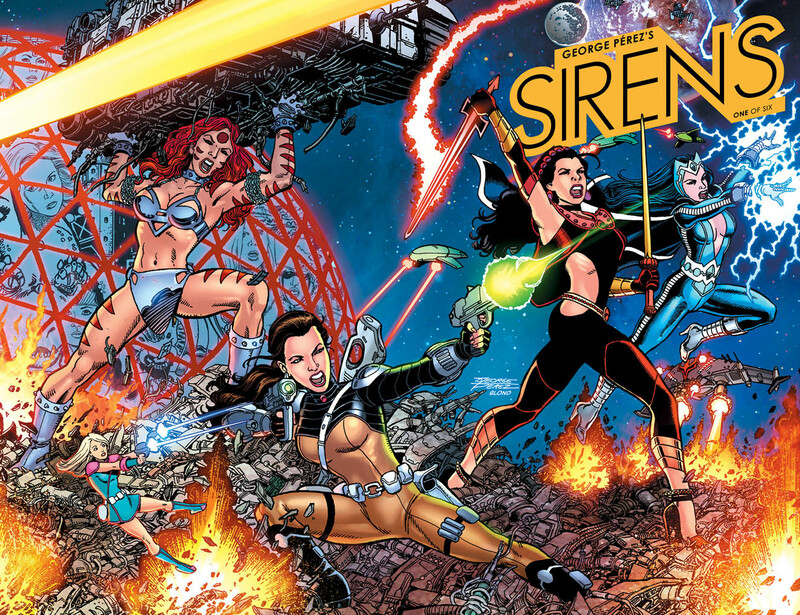 As you can see the man is a true master and with this book you get a detailed look at the making of George Pérez’s Sirens #1 from one of the industry’s greatest masters. This is not just for fans of George but for anyone looking to get into the business or topping anyone who is a fan of great art. After reading through it you get to see what George was thinking when creating his work, either his bitter sweet thoughts or where he draws his inspiration. It’s like getting to be a fly on the wall in a sense. Beyond that you see how the work is created which is one of the best aspects of this series, you hear from the artists first-hand what techniques and tools where used and this is one of the crowning gems of this book. All in all this series is a great idea and not some novelty that’s not going to last I am a full convert and look forward to the next installment. BTW after reading this if you’re interested in Sirens then read the quotes below taken directly from Boom! Studios official web site. 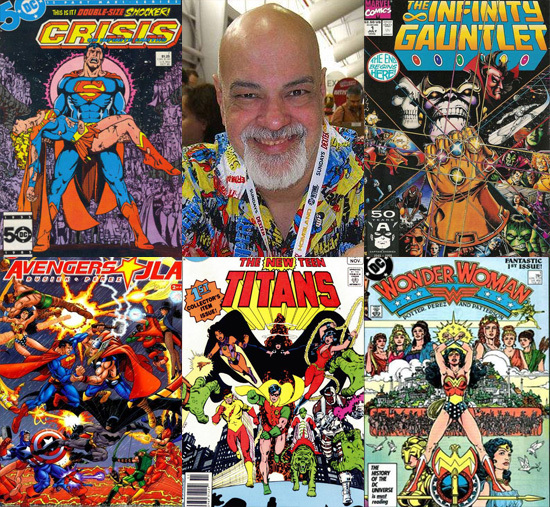 WHY WE LOVE IT: The name George Pérez should say it all, but we are beyond excited to work with one of comics’ living masters on his own original title. He’s worked on great female characters like Wonder Woman and Scarlet Witch, but this, a team of female heroes of his own creation, had us swooning.